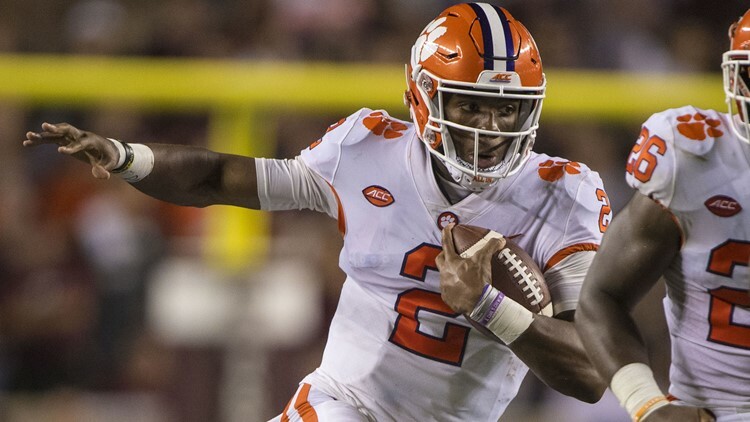 Clemson is moving up its kickoff time with Georgia Southern due to the threat of Hurricane Florence. In response to the potential effects of Hurricane Florence, kickoff for the Clemson vs. Georgia Southern game on Saturday has been moved up from 3:30 p.m. to noon. Clemson University officials continue to work with emergency management personnel, the ACC Office and Georgia Southern officials this week in preparation for Hurricane Florence and how it may alter operations for the game on Saturday. As the storm continues to be monitored, additional updates will be distributed by the athletic department and fans are encouraged to check ClemsonTigers.com for the most up-to-date information. As with last season’s home opener vs. Auburn, fans are asked to make plans to arrive early, expect delays in gameday traffic and parking and exercise patience in their commute to and from campus. Again, visit ClemsonTigers.com for parking and traffic information as the weekend draws closer.